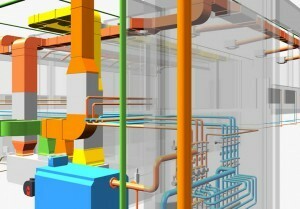 By using the 3D-CAD/CAE-Software RUKON-TGA enable project times to be kept short. It offers more quality and safety in planning and realization of a building’s technical infrastructure, of building technology and building´s HVACR. shopping malls, hotels, hospitals, office buildings, industrial plants, airport terminals, merchant and passenger ships, machinery and production facilities. – 3D-Visualization, tracking shots, and much more. TACOS has been developing CAD systems for many years now which have just one goal: practice. The best solutions are, after all, those which not only fulfil your demands and wishes but surpass them. With professional know-how and technological pioneering work, our products are permanently optimized for these standards. Owing to the co-operation with specialist firms and university institutes of various disciplines, new specialized knowledge keeps on flowing into our systems. Close contact with our customers and suppliers enables that RUKON is permanently adapted to rising standards of practice.